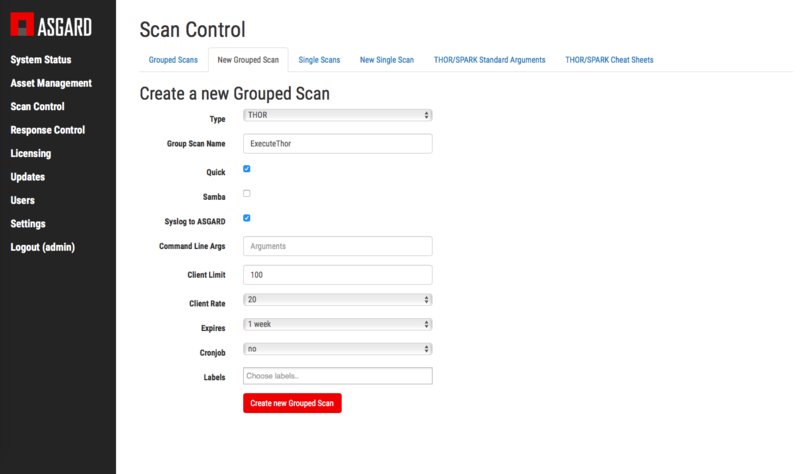 Deploy our APT Scanning software from our ASGARD Management Center, defining exactly which assets should be scanned. Scan your infrastructure with THOR or SPARK. Monitor your scan progress to insure that the assets are responding accordingly. After your scans have finished, use our Analysis Cockpit to get the information you need, e.g. host, severity, score, module, etc. Suspicious files can be passed automatically to Payload Security’s VxStream Sandbox for detonation. In case you find an incident, use the Response Control function in ASGARD Management Center to remediate the breach. ASGARD Management Center comes with a full featured GRR (Google Rapid Response). After that, use the Analysis Cockpit to set a baseline that makes it easy to focus on changes and future suspicious elements in your infrastructure. 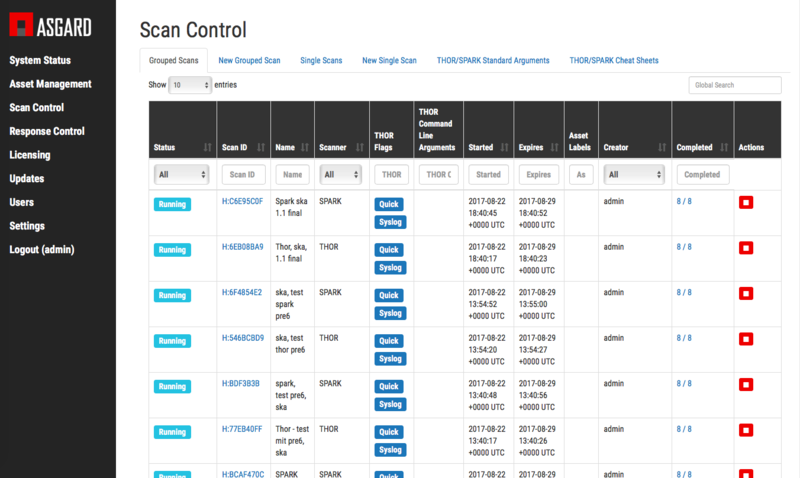 ASGARD Analysis Cockpit automatically filters all elements that have been analyzed before and found to be harmless or unsuspicious. After another round of scanning, focus on new elements, analyze them, remediate where necessary and update your baseline.